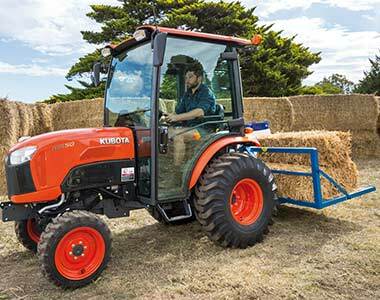 As the first tractor it its class to introduce an integrated cab, the Kubota B3150HDCC offers unsurpassed luxury and comfort. Featuring a 4-pillar design with rounded glass, enjoy the added luxury of more space and panoramic views of your surroundings. Whether you’re mowing, landscaping or doing light utility work, the B3150HDCC is the ideal choice for those seeking powerful performance and versatility in ultimate comfort. 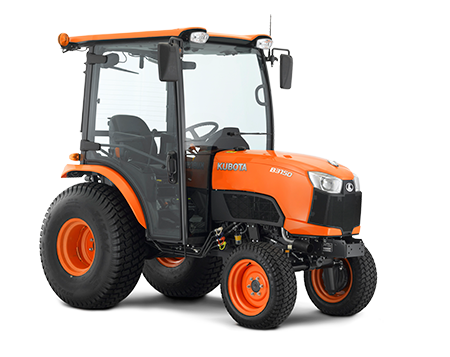 Powered by a rugged Kubota 31HP, 4-cylinder engine, renowned worldwide for their exceptional reliability and durability. Features 3 range hydrostatic transmission as standard. Equipped with twin operating pedals to offer exceptional handling with frequent changes of speed and direction. Hydraulic power steering offers effortless control to reduce operator fatigue. 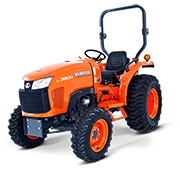 With an overall length similar to a standard garden tractor, the B3150HDCC is easy to drive and offers smooth operation even in the tightest spaces. Due to it’s compact size, the B3150HDCC is also incredibly gentle on turf. Rugged and sturdy 4-wheel drive (4WD) provides powerful traction for heavy duty front loader work and operating other implements. Choice of turf, bar or industrial tyres. A front 4-position valve lets you quickly and easily attach a front loader and other front-mounted implements. 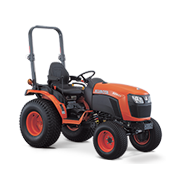 The valve is easy to access but won’t obstruct or impair the tractor’s clean and sleek look. The B Series all feature a sturdy, hydraulically controlled Category I 3-point hitch that allows you to attach a wide array of rear implements. The B3150HDCC offers maximum comfort to the operator thanks to the new integrated cab. The 4-pillar design with rounded glass offers more space and panoramic views of your surroundings. Doors open wide for easier entry to and from the cab. Comfort is also enhanced through better noise insulation for a peaceful driving experience. Operator comfort has been enhanced by a new, fully flat deck layout with the brake on the left side, providing more room for the feet. The new design also improves operability. The seat slides forward and back, letting you find just the right position for maximum personal comfort. The easy-to-read dash panel helps you easily track vital tractor functions such as engine speed, engine temperature and fuel level. The panel backlight activates when the headlights are turned on. 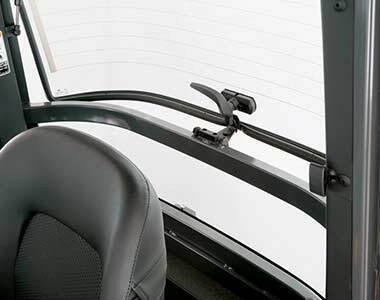 Features large angled lever guides for hassle free shifting, fast control lever recognition and easy operation. All controls and indicators are neatly placed for quick, easy and user- friendly access. 3-blade mower offers a wide cutting area, allowing you to cut more grass in a single pass. 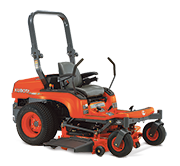 Ultra-sturdy and highly versatile mid-mount mowers with a choice of 60-inch or 72-inch cutting widths. 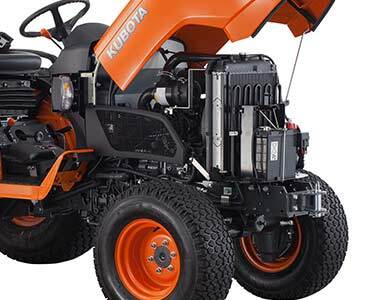 The B3150HDCC shaft drive delivers power smoothly from the mid-PTO to the mid-mount mower. Unlike belt drives, there is no slippage and maintenance is minimal. 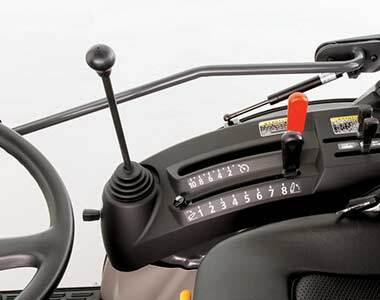 A simple twist of the dial adjusts the mower height in ¼” increments to your desired cutting level. The rounded boom perfectly complements the tractor design and offers greater visibility. 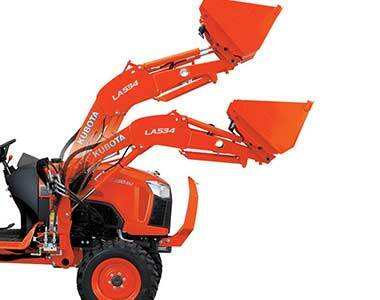 The front loader has an H-shaped stand, which makes it easy to attach and detach. The design also provides additional protection for hoses when the stand is folded. Option of standard or 4:1 bucket. Mechanical thumb optional.